I've made no secret of just how much of a beauty addict I am. If I showed you quite how large my collection of make-up is I'm not sure you would believe it. If I bothered to do some maths and added quite how much money I have spent on it all, I think I'd be horrified. I'm not going to do that. But, there are a few products that I could not live without and I wear most days. 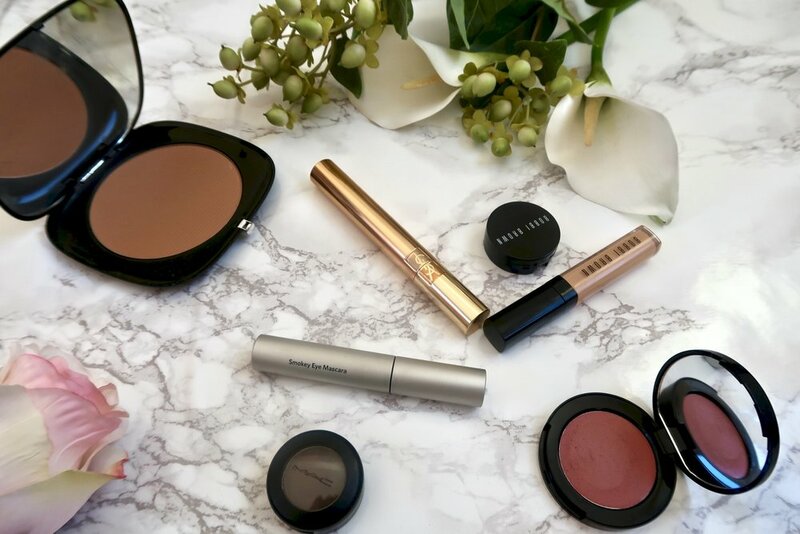 Sometimes I might reach for a different brand, but these 5 products that would always be in my make-up bag, no matter what! I keep things because 'you never know when you might need it'. That sparkly eye shadow or coloured eyeliner that might just work for a fancy-dress party just stays put in my drawers. I now know make-up does have a sell by date, I should probably actually check through everything but then life's too short!! In case you've never heard of make-up, or beauty products in general, having a use by date, it might be helpful to know how it works. On each product, somewhere on the label or on the bottom of the product, you will see a PAO symbol (PAO means period-after-opening). The PAO symbol is a graphic that identifies the useful lifetime of a cosmetic product after its package has been opened for the first time. For example, if it says 6M the product should be disposed of after 6 months. So, after that little lesson, in no particular order, onto my 5 make-up must haves. I've said it before and I'll say it again, I really suffer with dark circles under my eyes. No matter how much sleep I get, they're always there. When I discovered concealer for under the eyes (let's just say I was a little behind the curve) it was life changing. Covering up those dark circles makes so much difference to how awake I look by adding brightness around the eyes. The key for under-eye concealer is applying moisturiser first and finding one that is not to drying. The last thing you want is the concealer sitting in those fine lines as it will defeat the purpose entirely. Look for a creamy consistency and it's worth going slightly lighter than your skin tone as it can really help to add brightness under your eyes which will naturally make you look more awake. On a really bad day, I use corrector as well as I find it takes the blueness away. 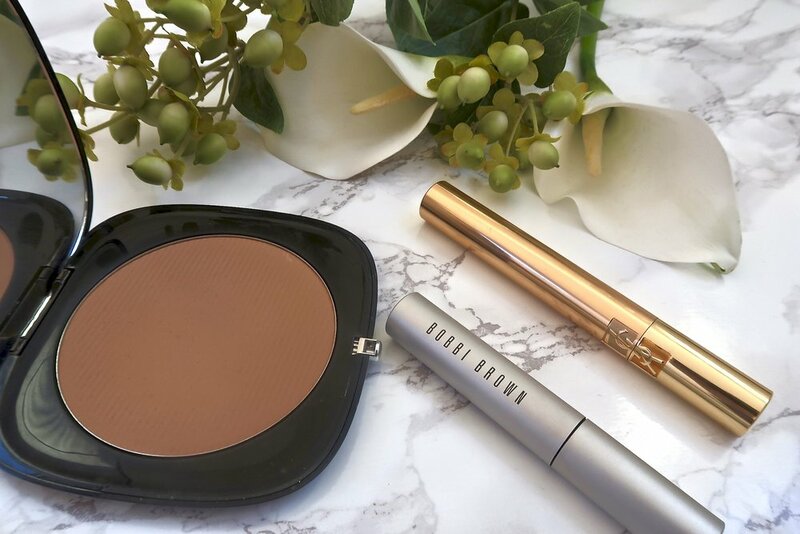 The product I'm currently using the most is Bobbi Brown Instant Full Coverage Concealer but I also love the Collection Lasting Perfection Concealer which is a bloggers favourite and much cheaper! The Fair Shade 01 is great for brightening. I don't know about you, but I love a bit of a healthy glow, especially in the depths of winter when my tan has long since faded. I couldn't live without bronzer & if you go for matt, you will probably find you can use it for contour as well. I'm not really a contour girl, so I tend to use a big fluffy brush and sweep it all over the highpoint of my face. I was always told to think about the areas of your face the sun would natural catch more - so your forehead, cheekbones & nose. Thinking about drawing a number three on the side of your face can help. Start at your forehead, sweep round to your cheeks and the bottom of the three is your jawline. Easy! I tend to go for a big bronzer as I like to swirl the brush around. This Marc Jacobs O!Mega Bronze Perfect Tan one has the longest product name, but it is great and the perfect matt. If I could only choose on product to take with my to a desert island, it would have to be mascara. I love how it opens up your eyes and makes your eyes really sparkle. I think we notice people's eyes when we first meet them (or maybe that's just me) and they say they are the window to the soul. Ok that's a bit deep, I forgot myself for a moment there. There is so much choice in mascara - lengthening, volumising, curling, separating the list goes on & on. I don't know about you, but I want a mascara that does everything! I'm on a mission to find one that does everything but is not too expensive but so far, I usually find it's worth spending a little bit more on mascara. By current favourites are Bobbi Brown Smokey Eye Mascara which is more of an everyday mascara and, for an evening look when I want a little more drama, YSL False Lash Effect. if you have a great & less expensive favourite, do let me know! A brown eye shadow is a make-up must have as it is so multi-purpose. The one I use, MAC Brun, is the perfect colour for me. It's a cool/ashy brown so it works on my eyebrows. I think it's best to find the colour that works for your eyebrows first and it will definitely work for your eyes but if you do it the other way around, you might find your eyebrows look a bit odd. Last year, I discovered cream blusher. I love it because it can be used on your lips as well as our cheeks. Can you tell, I love a multi-use product? I generally use my fingers to apply it and add it to the apples of my cheeks. I find, if I go to overboard with it, it's really easy to blend away so you decrease the intensity. The one I'm currently using is Bobbi Brown's Pot Rouge and have a couple of colours, Pretty Powerful III and Powder Pink and both work well for both lips & cheeks. Before, applying anything to my lips, I always use a lip balm which I put on when I apply my moisturiser so give it time to soak in and do its thing. I'm not including that as a make-up product as I consider it part of my skin care routine. One of my favourite lip balms is Glossier Balm Dot Com and comes in a few different colours, so on a day when I don't want anything on my lips, it just adds a lovely subtle sheen and makes them feel lovely & soft. There's a lot of Bobbi Brown products in my current routine so I've clearly been watching too much of Hannah Martin on YouTube and Instagram #hannahmartinmademedoit! Each month, I will be focusing on one particular product type and sharing the best products I've found with something for every budget. There are definitely some products where you can grab a bargain but there are some when it's worth investing a little more. If you have any products you think I should try, do let me know by commenting below, sending me an email or a DM on Instagram.